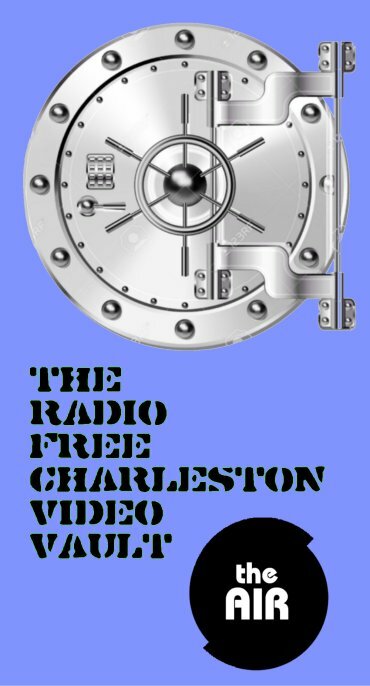 At 10 AM and 10 PM our latest Radio Free Charleston digs into the archives of our video program and brings you songs recorded especially for RFC between eight and ten years ago. Opening with the now-Mrs. PopCulter, Mel Larch performing a wordless song composed for the FestivALL Catfish, this episode contines with music from The Clementines, InFormation, Doctor Senator, A Place of Solace, T.J. King and more. Many of these songs were recorded on location at The Empty Glass, The Blue Parrot, UUC, Sam’s Uptown Cafe and other recognizable venues around town. 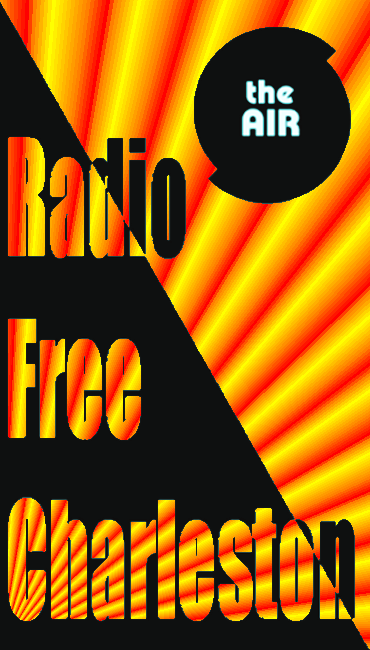 This is the first of two special installments of Radio Free Charleston that dip into the vaults to bring you classics that you won’t hear anywhere else. Next week we bring you part two of our raid on the video vault. At 3 PM stay tuned to The AIR for the beginning of another two-parter, The Swing Shift, devoted to one of the most important concerts in the history of pop music. 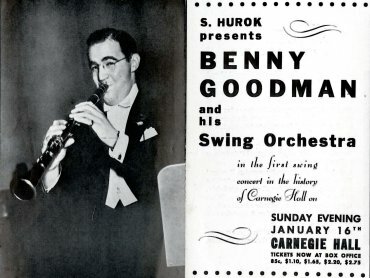 This week you can hear the first half of Benny Goodman’s historic 1938 concert at Carnegie Hall, which prior to this show had been reserved for classical music only. With a band that already included Harry James, Lionel Hampton, Teddy Wilson, Gene Krupa and more, for this performance Goodman invited a host the best Swing musicians around to sit in for extended jam sessions. You will hear legends like Count Basie and Lester Young jumping in on these recordings. Next week we’ll bring you part two of this historic concert. During the month of June, Monday Morning Art will present a series of four pieces called “Blue City.” These numbered works are all inspired by a recent trip to New York on a sunny day where things were particularly bright and blue. Each piece was created using a slightly different style. 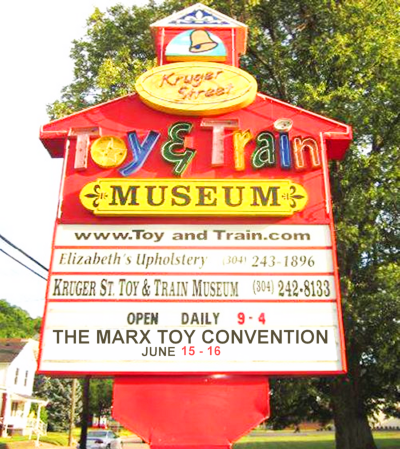 The 20th Anniversary Marx Toy Convention happens Friday and Saturday, June 15 and 16 at The Kruger Street Toy and Train Museum in Wheeling, West Virginia. This year there are even some events on Thursday for early arrivals. We will be telling you about the show all week long, and PopCult will be there (we wouldn’t miss it for the world). Tonight we bring you video from last year’s Marx Toy Convention, along with a couple of bonus clips. The Kruger Street Toy and Train Museum is an incredible place to visit, a huge building packed full of displays featuring the coolest toys from the last hundred years or so. The top floor is dedicated to toy trains and slot car sets, while the main floor has rooms devoted to dolls, action figures, games, vehicles and more. Each year they host the Marx Toy Convention to celebrate what was once the biggest toy company in the world, and one that had a major manufacturing plant located in nearby Glen Dale, West Virginia. This annual event is something that your PopCulteer does not intend to ever miss. It’s one of the most fun toy shows in the nation. Not only will their be dealers selling all kinds of Marx toys, from classic playsets to tin toys to Johnny West, board games and Big Wheels, along with the famous Marx Toy Trains, but you can also wander the museum and look at the coolest toys from your childhood, and maybe your parent’s childhoods. 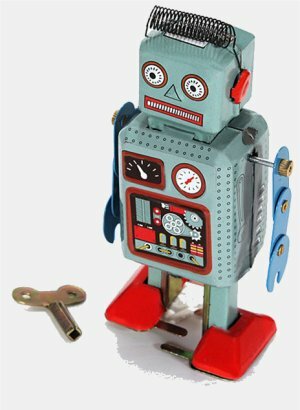 Regular readers of PopCult probably also know about the Marx Toy Museum in Moundsville, which closed its doors two years ago. This museum, founded by Francis Turner and housing his epic collection, was devoted solely to The Marx Toy Company. Last year, one year after closing its doors, The Marx Toy Company reopened for one night for a special sale, and to announce that the History Channel show, American Pickers had visited the museum after its closing. Check PopCult every day this week for more info on the Marx Toy Convention, and more video from our Marx vaults. Once again dipping into the FestivALL well, we go back for the second part of our coverage of FestivAll 2012, from June of that year. In this episode we kicked off with The Bob Thompson Unit, captured at The Shops at Bridge Road, performing on the West Virginia Music Hall of Fame bandwagon. With the Bob Thompson Unit’s smooth jazz playing behind them, we cut to footage of the West Virginia Dance Company, recorded at the Charleston Town Center Mall. From there, we raced over to Davis Park at the Appalachian Power Stage to bring you a lovely, new “murder ballad” by Oak Hill’s virtuoso Americana band, The Boatmen. 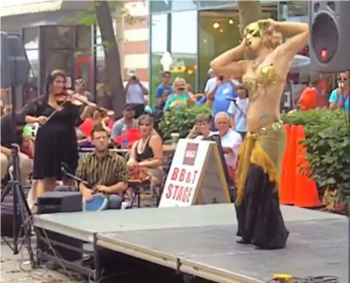 A quick trot up Capitol Street took us to the BB&T Stage in front of Taylor Books for the Raqs Shakti collective (seen right), with this performance featuring Jenna Brooke Swanson dancing to music provided by Amanda Jane and Dwayne Swanson (The Snake and The Pot) and violinist extraordinaire Alasha Al-Qudwah. Having returned from the drama, we found Duo Divertido performing at the BB&T Stage, over which we dropped in footage of FestivALL’s Princess, Jude Binder and Dizzy Doc’s Balloon Sculpture. Eduardo and Beth treated us to a lovely version of “The Girl From Ipanema.” Next up, we had music from Bob Shank and Sam Morgan, combined with dance from Carli Mareneck and Friends. We followed that with the Katzendrummers and a troupe of kids at the Verizon Wireless Children’s Stage, combined with scenes of the Children’s Art Fair, the ShockaCon alien, and the Rocky Point Farm horse carriage. That’s not all. We also had the David Smith film, META, The Leon Waters Blues Band, and scenes from Dr. Sketchy’s and Bare Bones. It’s a loaded show, and typical of the vast riches of art, music, dance and more that you’ll find during FestivALL. A note about today’s PopCulteer: I originally considered using political cartoons or memes to illustrate this post. 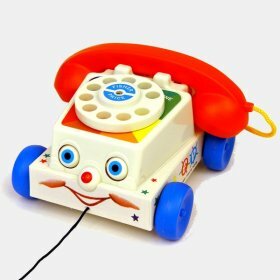 However, after spending way too much time looking at candidates and finding all of them to add to the problem that I’m writing about rather than helping to explain it, I decided to just use pictures of vintage toys that have nothing to do with the subject matter at hand. I thought they looked cool, and weren’t stupid. So that’s why the images have nothing to do with this post. Sorry for any confusion. I’m not a big fan of generational labelling. There is supposedly a generational war going on right now between the Baby Boomers and the Millennials, and while many of my friends seem to be heavily invested in one side or the other, the entire conflict strikes me as bogus and unneccessarily divisive. I was not a Baby Boomer when I was born. The first time I heard the term, I was still not a Baby Boomer. It was only in the last twenty years or so, after the folks in charge of demographics stopped caring about precision, and started moving the goalposts, that I somehow got lumped in with people who were born twenty years before I was. I don’t mind it, since I don’t really care about such arbitrary labels, but it offends me on a logical basis. It seems to me that a demographic generation ought to run no longer than ten years, if that. 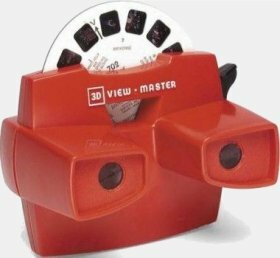 People born even five years apart over the last century can have vastly different cultural and technological experiences, and it’s sort of pointless to herd everyone into such a large group. There shouldn’t be any single generation that can include parents and children, as the current definition of Baby Boomers does. At the moment, the storyline for this latest generational conflict is drawn out of a fantasy world. In this world, all the Baby Boomers are selfish oafs who conspired to destroy the world’s economy so that the Millennials would be stuck paying for their sins. On the other hand, Millennials are all spoiled brats with entitlement issues who have no idea what it means to actually work, and who are devoid of common sense. This is, of course, garbage. You can’t blame an entire generation for the bad consequences of poor choices made by our government. The truth is that our economy and the general state of the world is a result of the manipulation of people in power by the folks with the most money. They don’t want to share their money, so they work to destroy the middle class and unions and promote division among the working class to keep them fighting among themselves rather than realizing what’s really being done to them, and by whom. And that’s what this nonsense war between the Baby Boomers and the Millenials is about. It’s a manufactured conflict designed to keep two of the largest demographics fighting each other instead of uniting against the people who are actually doing them harm. It’s a great way to keep anyone from noticing that income inequality is the real issue at play. It’s only one tool in the arsenal of the powers that be. Using advances in technology over the last century, the forces of evil, who at the moment are operating the right wing of our government, create division and distraction so that they can actively work to undermine our constitution and run the show to suit themselves. They also benefit from racial division, school shootings, low-level scandals, addiction, crime and military conflict. While those things get all the attention, they’re quietly re-writing laws to make it harder to vote, harder for poor people to have access to court, harder to hold a business accountable for anything and impossible for Democracy to work. Back to the generational war, one of the biggest beefs is that Baby Boomers supposedly didn’t have to go into debt to get an education. This is not entirely true. Plenty of people around my age were caught in the student loan trap as it was being set forty years ago. The forces of evil persuaded states to slash their funding for universities, forcing them to raise their tuition while, at the same time, creating the current student-loan system, which is the closest this country has come to indentured servitude since before the writing of the constitution. I have friends of all ages. I know people in their 90s, and I know people in their 20s. I know a lot of Baby Boomers, and a goodly number of them are in rough shape, financially. They are not all rich. They are not all sitting back laughing at the Millennials who have to clean up their messes. I also know a lot of Millennials. Most of them are either struggling with student loan debts, or struggling to make ends meet without an education. However, more than a few of them are buying their own homes and don’t spend all their time bitterly griping about how everything is the Boomer’s fault. The worst sin of the Baby Boomers as a generation is shared by the Millennials. Neither generation bothers to vote. In general, the Boomers were the most left-leaning, progressive demographic in history until the Millennials showed up, but neither group bothers to go to the polls. Over 30% of Boomers don’t bother to vote, but over half of Millennials stay away from the polls. This is exactly what the folks like the Koch Brothers want. They actually refer to Democracy as “The tyranny of the majority,” and work hard to push their own brand of tyranny instead. They have put their resources over the past four decades into promoting the idea that there’s no reason to vote because your votes don’t matter. If that were true, do you really think they’d be passing voter ID laws and doing what they can to suppress voter turnout? We’re all getting the short end of the stick here, and we need to stop buying into false divisions so that the folks opposed to Democracy can’t keep beating us with it. Especially here in West Virginia, where “Democrat” Joe Manchin sold us out to the ALEC crowd when he was governor, we see this at work. In West Virginia the only growth industry is people moving back home to take care of their dying parents. Nothing else is bringing people into the state. So maybe folks should look around and see how screwed everybody is, regardless of age, and quit posting memes attacking the wrong people. Those were probably made in Russian Facebook farms anyway. Yes, old people have their annyoing quirks, just as young people do. It’s nothing to fight over, especially when there’s a common enemy. 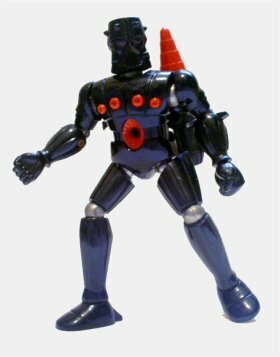 That’s it for this rant-y edition of The PopCulteer. Check back for all our regular and irregular features. We have at least one new post every day. A few years ago I told you about The Creeps Magazine, a wonderful homage/continuation of the classic Warren Comic Magazines, Creepy, Eerie and Vampirella. 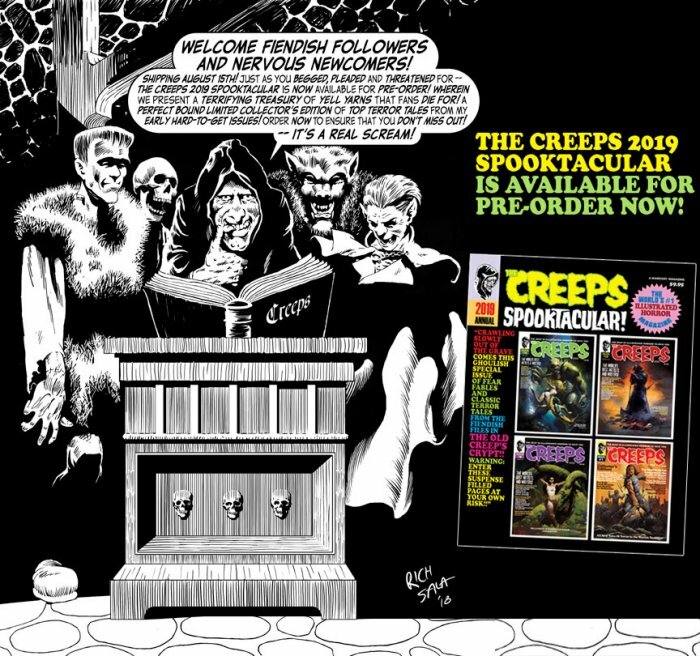 The Creeps is still going strong and is now available from any comic book store through Diamond Distribution, and can also be found at Barnes & Noble (Books A Million is really missing out on this). The news I hinted at last Sunday is true. MEGO is back. At the recently-concluded MEGO MEET in Columbus, MEGO’s president, Marty Abrams, announced that his much-loved company, which ruled the action figure roost in the late 1970s, is back. Abrams was accompanied by Paul Clarke (AKA Dr. MEGO), who I know has been twisting Marty’s arm for years to get him to jump back into the game. With the help of some well-heeled investors, his dream has finally come true. The MEGO Museum is a major source for info on this post, and you should bookmark them to keep up with all the latest details as they come to light. We swiped our graphic at the head of this post from their story. There is a planned “official announcement” that will spill all the beans planned for mid-June at the Long Island Comic Con. What we know so far, thanks to the MEGO Museum and the live-stream of Marty’s panel on Facebook, is that there will be 20 figures in the first wave, from a variety of pop culture licenses. The only one we know for sure is that there will be a figure (or figures) of Jimi Hendrix, officially approved by the Hendrix estate. There will be figures in the traditional MEGO 8″ size, but also in a variety of other scales due to licensing issues. Abrams mentioned fourteen-inch tall figures as one possiblity. 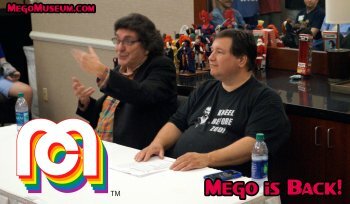 Aside from the Hendrix figure, it was hinted that some of the favorites from the original run of MEGO will be in the mix, along with several new properties. Speculation is running rampant, and we’ll resist the urge to indulge in print, but we have some ideas of what might be coming. I’m certain there will also be a lot of surprises in store in just a few days. Best of all, these figures will be aimed at the mass market, which means you should be able to find them at Walmart and Target, along with any other retailer that sells toys and collectibles. 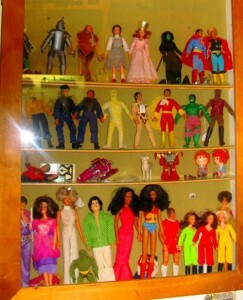 At left you can seen some vintage MEGO in a photo from the PopCult archives. 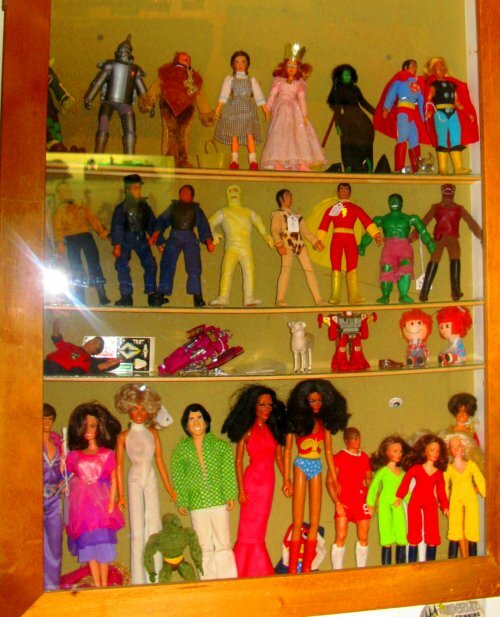 PopCult will keep you posted on future MEGO developments, but if you’re a fan of the original toys, you really need to make the MEGO Museum a regular stop on your internet travels and like their Facebook page. If you are really a die-hard fan of MEGO, then you need to sign up to be a “MEGO Ambassador” for regular email updates directly from the new MEGO Corporation. 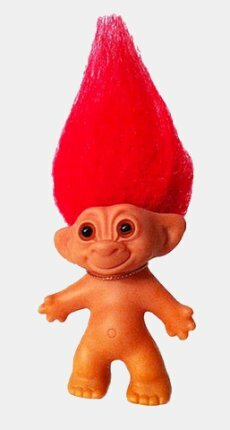 If you employ the search engine which should be to the right of this post, you can find several PopCult posts from previous years devoted to MEGO. Most of them still have the photos online along with them. 2018 Tony Awards Preview, Navigating Life and Recording “Let It Be” Today on The AIR! 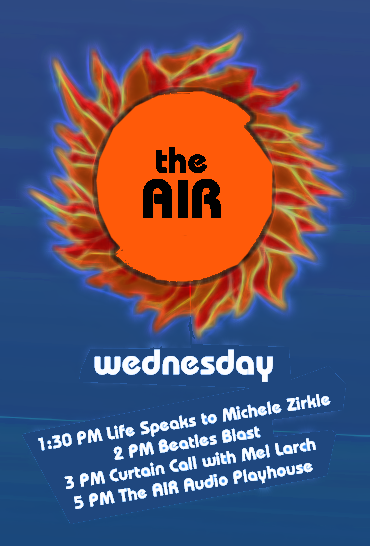 At 1;30 PM, Life Speaks to Michele Zirkle: This week Michele talks about going off course and finding your true path. 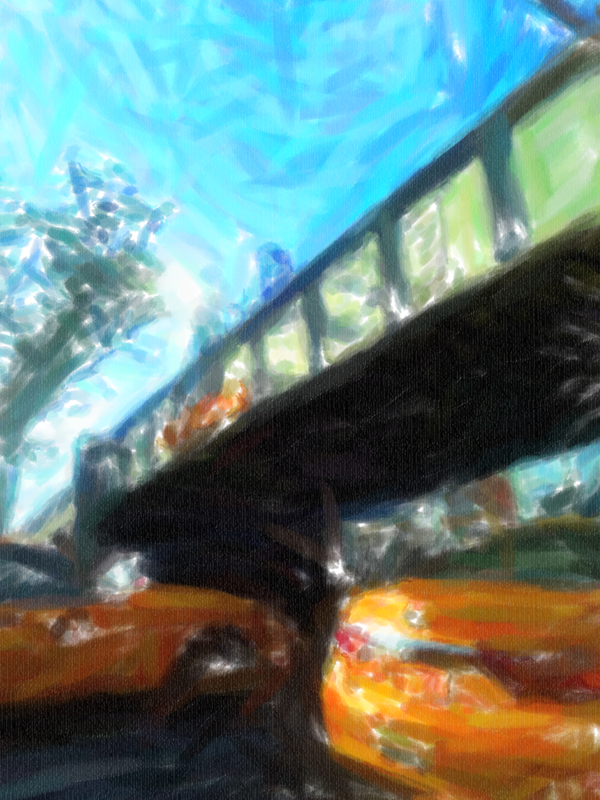 She recounts a strange experience while driving on the Interstate and how that relates to the personal choices we make every minute of every day. Change the course of your life and trust your internal naviagation system. At 2 PM Beatles Blast presents part eight of The Beatles Story, a legendary BBC radio documentary from 1973. In this week’s installment, things start to wind down as the band digs their way out of the aborted “Get Back” sessions. Beatles Blast can be heard Wednesday at 2 PM, Thursday at 11 AM and 9 PM, Friday at 5 PM, and Tuesday at 9 AM. At 3 PM Wednesday on Curtain Call Mel Larch takes a look at this year’s Tony Award nominees for best musical and best revival of a musical. You’ll hear songs from SpongeBob Squarepants, Frozen, The Band’s Visit, Mean Girls, Carousel, My Fair Lady and Once On This Island. As a bonus Mel brings you a couple of tunes from last year’s hit musical, War Paint. This year’s Tony Awards ceremony will be broadcast by CBS this Sunday, June 10 at 8 PM EDT. RFC Stays Local with Three’s Company Blues, Johnny Compton, The Stars Revolt and More. 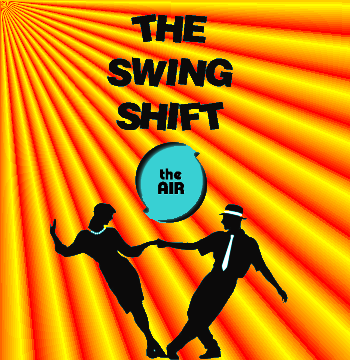 The Swing Shift Goes to New Orleans. 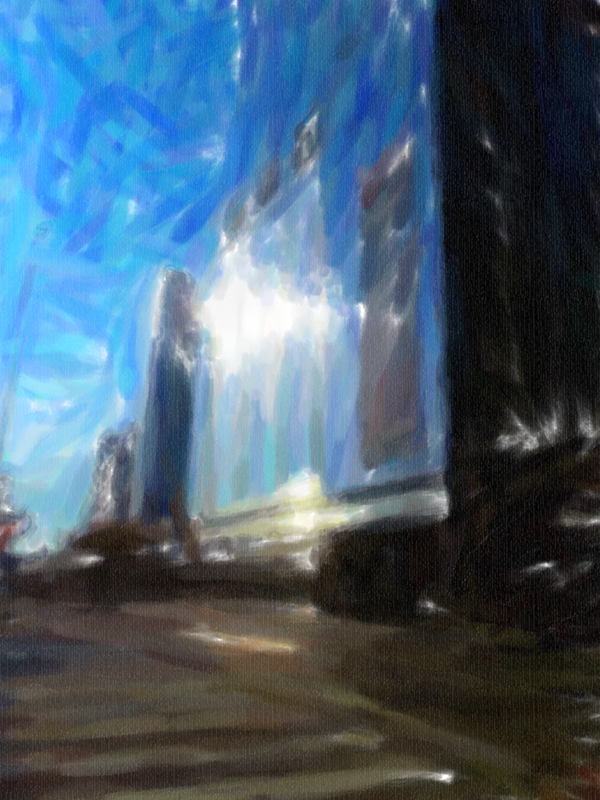 During the month of June, Monday Morning Art will present a series of four pieces called “Blue City.” These numbered works are all inspired by a recent trip to New York on a sunny day were things were particularly bright and blue. Each piece was created using a slightly different style.